A close child hood friend of mine has a teenage daughter who would literally rob a bank to drive any Land Rover. A teenager or unsuspecting adult would not fully understand at which or appreciate the fact that the only person who makes out on a massively depreciated car is your local indy mechanic. VW Phaetons, S-class Benz, numerous Bangle BMW's, all can be purchased for near pennies on the dollar from their original sticker., but may cost double or triple that amount to keep on the road for any length of time. There is a phenomena that goes called ballin' on a budget where a cheap luxury car would be a de rigueur. Today's feature appears to be a real ad as the area code matches the location. 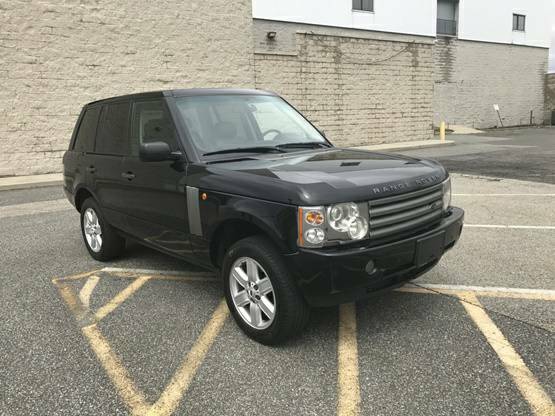 Find this 2003 Land Rover HSE for sale in Somers, NY for $1,500 via craigslist. 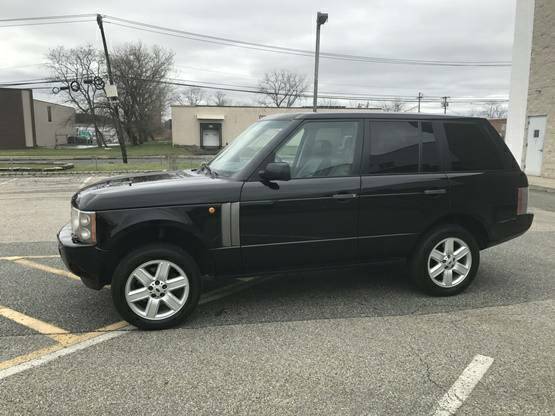 Selling a 03 LR HSE V8 engine. This is a fantastic 4x4, easy drive - very safe for a family or to take off-roading. The BMW derived V8 engine in this Rover puts out 282 hp through a 5 speed automatic transmission. The HSE was a brand new model for Land Rover in 2003 and offered a much more upscale interior as well. Cory is anxious to find out the cause of the clunking in the rear suspension of his 1999 E300. Most unreliable car ever made. My buddy had one just like this, even though I told him not to, he bought it and spent $8K keeping it on the road in just one year. The thing that lets some of us buy cars at all is the low entry price of DTs, and the thing that lets us buy another one is if we are correct/lucky that it didn't end up costing what this HSE will obviously cost to keep running. The sweet spot is if we can buy one that's been someone's cherished and maintained "modern classic", with all the big costs re-invested, and not interesting enough to be overpriced. Or if CFlo ever touched it. I went looking for a graph that would show the above and I found this one. I think it's a pretty good match. It's for a Honda van, but still. Well said! The only reason I can mess around with vintage Mercs is that they are simple enough to DIY. If that graph also took into account the immediate depreciation once the car is driven off the dealer's lot that curve would start at a much higher initial point. As much as we like oddball / fast / rare cars here - our "new" daily driver, a recently purchased mint condition grandmother owned '99 Legacy wagon with 70k miles for $3500 has shoved our cost per mile down to levels that encourage the addition to our fleet of other much less sensible project vehicles. You’re right, that particular graph shows only spending, not depreciation. There are some other analyses and graphs out there, but what this one did that I liked a lot was a careful mathematical smoothing in order to reveal an underlying curve showing distinct, familiar, generalized stages. Depreciation adds a dimension to the story, for sure, but also makes it harder to explain and intuitively grasp. It’s the kind of paper I would really enjoy co-authoring with a qualified stats geek, you know, once I make a dent in my to-do list. Now if you’ll excuse me I have weatherstripping to install on the front door, a dental cleaning to get to, and training wheels to remove from the Hello Kitty bike. 87K? What could go wrong? Ha! I'm reading this in Somers, NY. Visiting my old home town. Go Tuskers. Ah yes - the car where VW management forgot their company name meant "car for the common man", even though they have the benefit of being native German speakers. 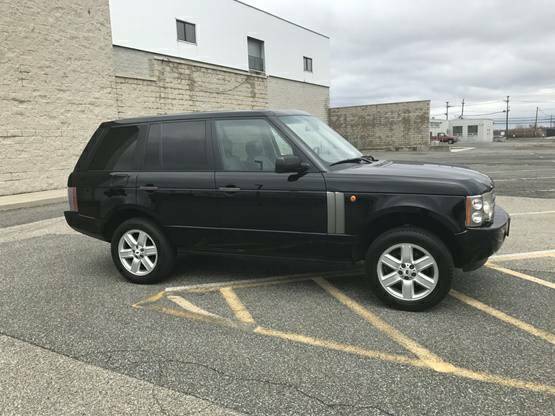 I'm fairly certain that if this Range Rover were parted out that the person doing so would reap a 10x return on their investment. If you know how to work on a BMW M62 V8 (and a lot of us do), there's not much to be scared about on this car. All the quirks are well documented. Now if you take your car to the indy mechanic every time a light comes on, well yeah, this car will break you, but I didn't think may of us who frequent DT fall in that category.